Hello my lovelies, hope you are having a great start of the week so far. I am back with a brand new set of photos from this weekend. For me it has been all about escaping the city heat and retreating in the mountains. The location is a summer favorite, we always come here a couple times a year especially during the jazz festival. 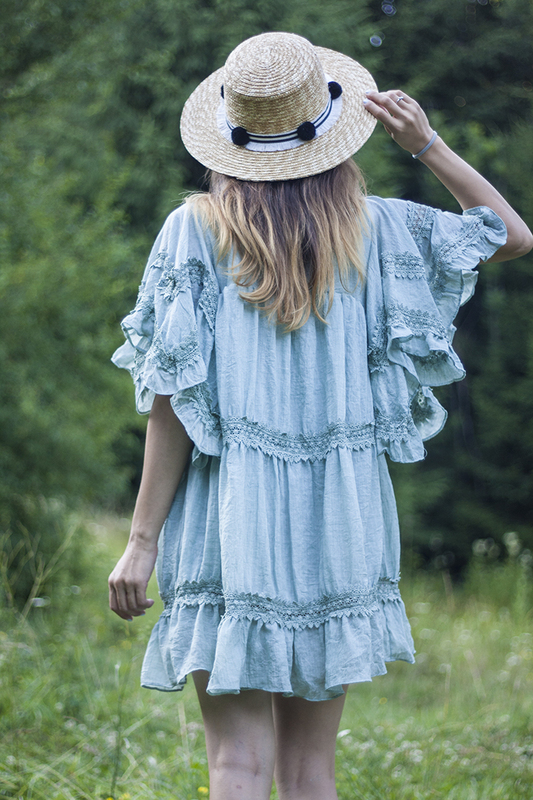 So I guess you could call this my idea of a festival look: a gorgeous light weight mint dress in a loose silhouette, a straw boater hat and comfy sandals. The first thing that caught my eye when I saw this dress were the dramatic flare sleeves and the crochet details. The color is super pretty as well, and it will look even better on me once I get a bit of a tan. The sandals have been a favorite last year. 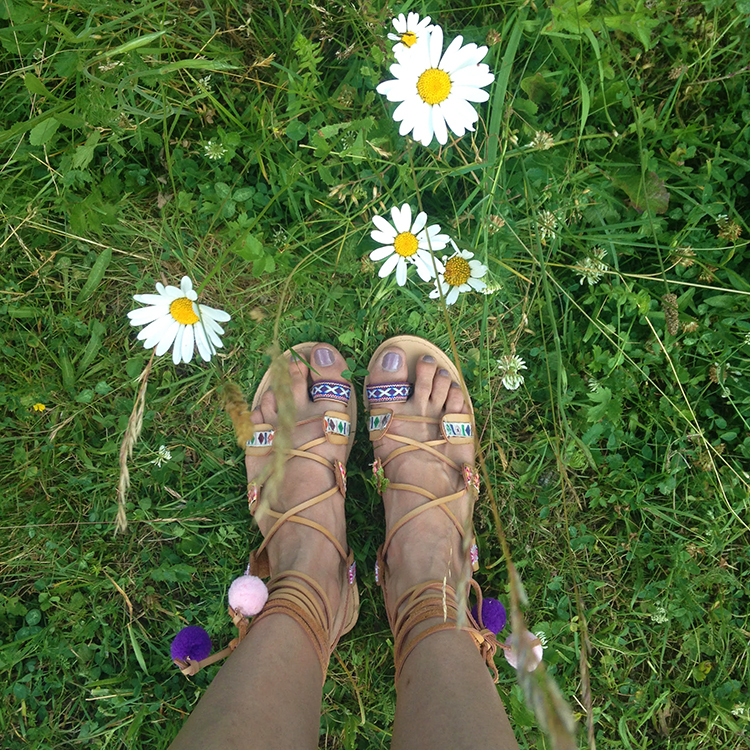 Remember when everybody was crazy about pompoms and there were hundreds of pompoms sandals to choose from and a few diy videos on how to make your own? Well, you can check out how my pair originally looked in this post here. Wore them a couple of times this summer until I decided the pompoms were a bit too much and so I decided to take them off (they were glued and came off fairly easily) and I love them so much more this way. My hat has pompoms as well so that's enough. We're back in the city now but we're planning another escape to this magical place in August and hopefully we'll stay longer than a weekend. This is a perfect "festival" dress. It looks comfy and it the arm detail is very pretty. I adore your sandals as well. Fabulous blue dress! I really like this outdoor location too. A big difference to an urban area but perfectly highlights the mood of your look. Great stuff!